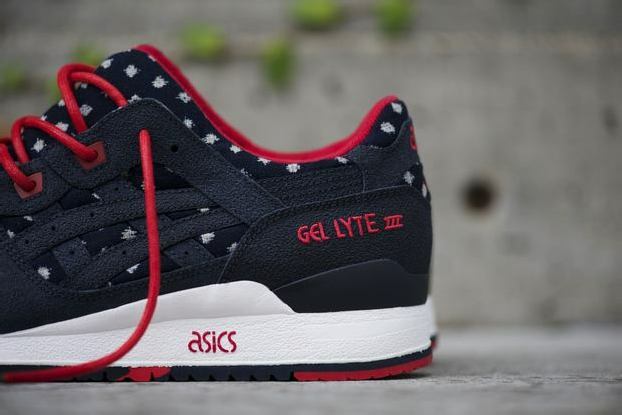 The third and final installment of the BAIT x Asics Gel Lyte III series takes hold of the strong Japanese roots behind the Gel Lyte III. 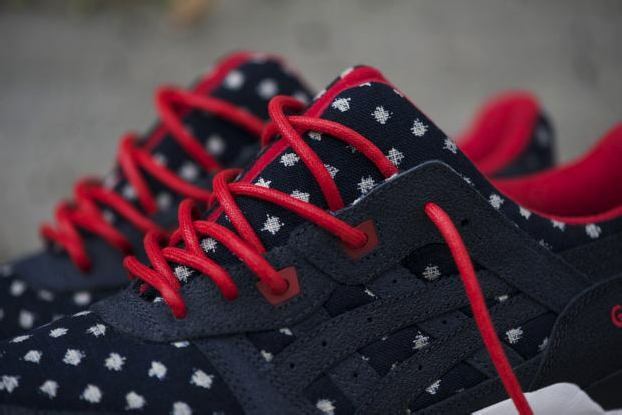 Switching directions from the first two military-inspired designs, the “Nippon Blues” takes a step back to pay homage to Asics. 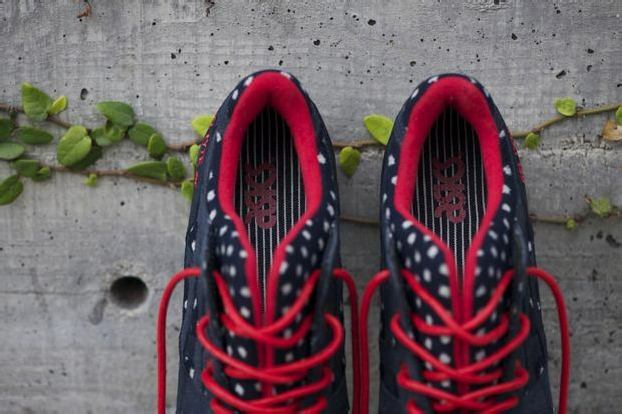 Continue reading for more information, images, and details on the release procedures!Inspired by Japanese culture and tradition, the Nippon Blues utilize an indigo kasuri textile imported from Japan to adorn the upper. Maintaining the everyday functionality of the other designs in this series, a durable nailhead suede ensures that the shoe is properly equipped to withstand the wear and tear of heavy use. 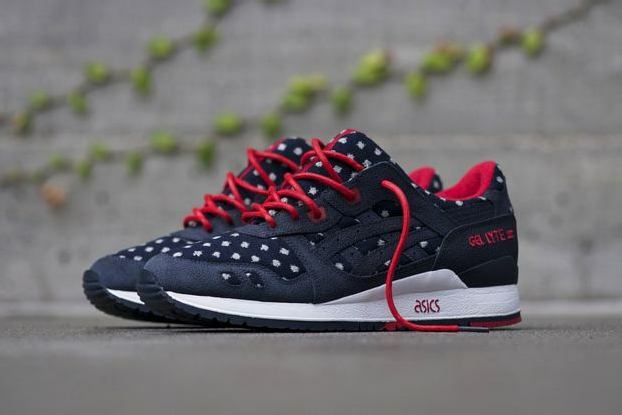 Red accents complete the Nippon Blues motif. Hickory Denim lines the footbed, illuminating BAIT’s Western influence and its partnership with the Asics brand. Registration for the raffle purchase is still open for the Nippon Blues – along with the Vanquish and Guardian in case you missed the first two releases. You can also register to purchase all 3 in a pack. Winners for the 3-Shoe Bundle will be contacted by from Wednesday, 04/23/14 to Friday, 04/25/14. Winners for the individual shoes will be emailed out from Tuesday, 04/29/14 to Thursday, 05/01/14.